Go ahead and answer the phone, just pray you don't hear a whisper. 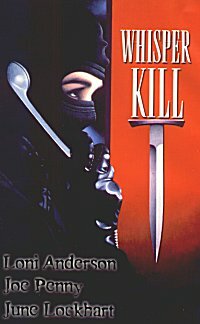 . .
Liz Barlett (Loni Anderson) is an ambitious reporter eager to solve a murderous killing spree that has everyone close to her ending up in a body bag. Enter Dan Walker (Joe Penny), a drifting investigative reporter looking for who killed his friend - Liz's partner Jerry Caper. When the killer, known only as "The Whisperer," begins making calls to the victims before they are murdered, the two reporters are forced to rely on each other to solve the case. But when the two become romantically involved, Liz's checkered past begins to emerge. Mounting tension and intense suspicion lead to a climactic surprise in this taunting thriller.